Dr Siri Paiboun has spent most of his life fighting for the communist cause in Laos. Having gained power he feels it’s time for him to retire and let the next generation get on with running the country. Instead, he’s been appointed as the state coroner at the age of seventy two. Dealing with dead bodies is not the same as looking after healthy ones and he finds he’s has to learn a whole new skill set from an ancient French textbook in an environment lacking in facilities and equipment. Thankfully the post comes with Mr Geung, the mortuary assistant, and Nurse Dtui, who at least have an institutional knowledge. Rather than simply diagnose the cause of death, Siri feels drawn to investigate the reason, especially when it’s made abundantly clear he should forget such ideas. And when the wife of a party leader arrives on his slab and he suspects foul play he inevitably can’t help but put his nose in where it’s not wanted. Soon after, he is dealing with three Vietnamese soldiers and an international crisis is impending and he has unwittingly put himself in the firing line. 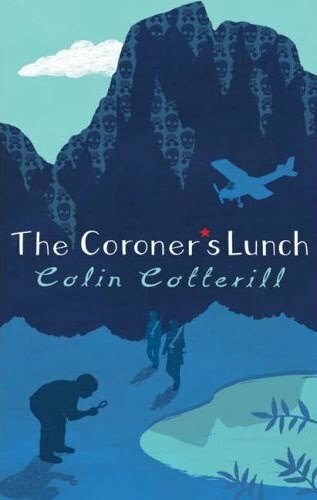 It’s quite difficult to pigeonhole The Coroner’s Lunch, other than to say it’s a crime novel set in Laos in 1976. It’s too political to be a cozy, though it does have leanings that way; it has too much humour and comic charm for a noir or hardboiled; and it’s more a cultural commentary than a police procedural. It’s also very good. Cotterill’s skill is manifold: the story being well paced and plotted, with a good balance between show and tell, giving enough but not too much back story, and it being peopled by a wonderfully depicted set of characters. Indeed, Dr Siri, Nurse Dtui and Mr Geung are all interesting folk that one is delighted to spend time with, and the supporting cast feel like ‘real’ people rather than stock characters. There was, however, one thing that jarred a little, and it’s taken a couple of days reflection to put my finger on it. The story has a dark side and should have had a lot of tension, and yet somehow it didn’t. I think the comic charm and the warmth of Siri’s personality seemed to dissipate any sense that he was in any real danger. In this sense, the story for all its twists and turns, lacked an edge. Overall, a thoroughly enjoyable read and recommended. Rob - I'm so glad you enjoyed this novel. 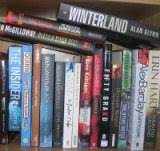 I agree with you that it's really not the kind of crime novel that one can easily place in one or another category. To me, though, that's part of its appeal. I really have to go and read this. It's been languishing in my TBR pile for far too long.